Discover the truth behind this controversial beverage and find out everything you need to know to choose the healthiest blend! It’s the million-dollar-question that’s been dividing health professionals for years, ‘Is coffee actually good for us?’. Our preference has always been treating ourselves with an occasional organic, fair-trade coffee. But we’ve since discovered that not all coffees, even the organic ones, are created equal. Coffee in its most natural state can have some fantastic health benefits. But after finding out that we may be doing more harm than good drinking our usual cup of coffee, we made it our mission to highlight the most important things to look for when buying coffee beans, and help guide you in discovering the best blend for your health! The global spread of coffee is said to have originated from the coffee trees in the Ethiopian province of Kaffa. Legend has it that Ethiopian shepherds were the first to discover coffee’s stimulatory effects, when they noticed their goats ‘dancing’ and full of energy after eating coffee berries! Originally consumed whole, the berries were mixed with animal fat to create a protein-rich snack bar. It actually wasn’t until the 13th century that people began to roast coffee beans, a crucial step in the creation of coffee as we know it today. Now, we are consuming 400 million cups of coffee each and every day, and that’s just in the US alone! Up until recently, coffee used to be thought of as a guilty treat, something that wasn’t the best for our health, and that many of us regularly relied too heavily upon! However, new research continues to emerge highlighting some amazing health benefits when it’s consumed in moderation. A study published in the Journal of Alzheimer's Disease showed moderate coffee consumption can help reduce your risk of developing the disease. Dr. Arfran Ikram, an assistant professor in neuroepidemiology at Erasmus Medical Centre Rotterdam, believes this is due to its polyphenol and caffeine content, helping to reduce inflammation and deterioration of brain cells, especially in the hippocampus and cortex, areas of the brain involved in memory! Caffeine in coffee doesn’t just help keep you awake, it can make you more alert and improve your mood! Caffeine blocks the neurotransmitter adenosine, increasing the brain’s release of the neurotransmitters dopamine, involved in the pleasure and reward response, and norepinephrine, involved in alertness, attention span and mood as well. A study by Harvard School of Public Health found that women who drank coffee may reduce their risk of depression by around 20%! A study published in the International Journal of Food Microbiology found the consumption of coffee can help to increase the metabolic activity and numbers of the beneficial bacteria Bifidobacterium. Gut health is critical to overall health, with this group of bacteria in particular, producing vitamins, antibacterial chemicals, and antibiotic-like substances that have significant health benefits on both the digestive system and the immune system. Coffee is naturally rich in chlorogenic acid and melanoidin compounds which contribute to its strong antioxidant properties. Antioxidants play a vital role in protecting your cells from oxidation and your body from diseases such as heart disease, cancer, cataracts, reduced immunity and premature aging. Each coffee blend varies in the amount of antioxidants it contains. If your favorite beans have been tested they will have an Oxygen Radical Absorbence Capacity (ORAC) score. This tests for antioxidant activity - the higher the ORAC rating the better! WHEN CAN COFFEE BE DANGEROUS? Despite the proven health benefits, it’s best to moderate your intake of coffee. Consuming too much coffee can limit the absorption of vitamins and minerals essential for your body to function properly. Should I be worried about the caffeine? Consistently consuming caffeine long term can also be problematic. According to Dr. Mercola, pregnant women in particular should restrict their coffee intake. Studies show a higher caffeine consumption increases the risk of a miscarriage or a low birth weight baby, exposing the child to a higher incidence of chronic diseases later in life. The caffeine in coffee also stimulates your adrenals – the hormones that activate your fight or flight response. If you continue to drink coffee consistently over a long period of time, your adrenal glands can burnout due to overstimulation. Caffeine itself is a central nervous system stimulant that acts within minutes to counter drowsiness and help us feel alert. Dr. Lipman suggests avoiding coffee if you find yourself having to rely on it to function throughout the day, as although the beverage does have health benefits, the buzz from the caffeine is temporary, and can easily become addictive. 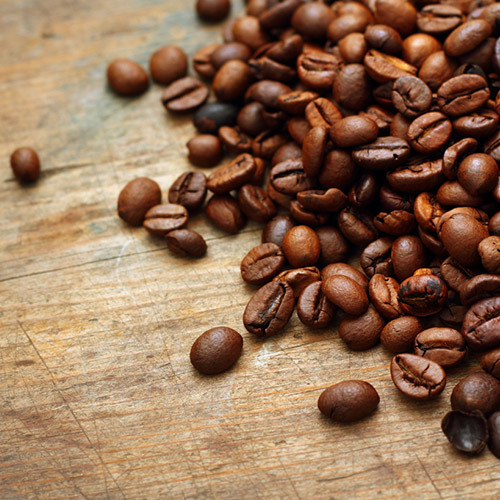 Yes, most coffee beans are very acidic, but not all of them! When you consume an overly acidic diet, you throw off your body’s naturally alkaline environment, disturbing the pH balance and making your body susceptible to illness. So whilst consuming an occasional coffee can offer health benefits, it’s best to practice moderation to help prevent these negative side effects. WHAT ARE THE MOST HEALTH-OFFENDING COFFEES? The average Starbucks or Tim Horton’s coffee is riddled with pesticides, artificial colors, flavors, and preservatives. Most of their drinks are also packed with excessive caffeine! This results in a Venti sized coffee at Starbucks having a massive 415mg of caffeine, whereas a typical cup of coffee has a mere 70-100mg of caffeine! Talk about stimulant overload! Any coffees that look more like dessert than a simple beverage should be avoided. 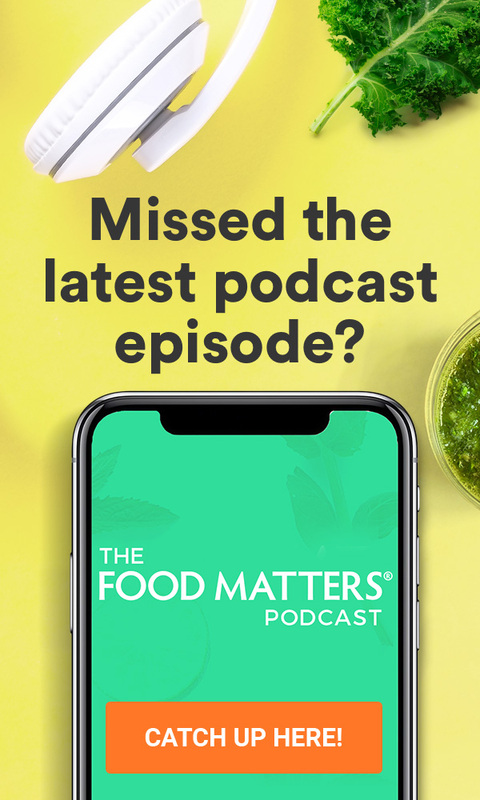 There’s much more than just coffee in your cup with fake cream, hydrogenated fats, high fructose corn syrup, artificial flavors, colors, sweeteners, and preservatives all wreaking havoc on your body! Skip the toppings and milk for the healthiest choice, but if you need to have milk, keep it simple with an organic dairy or nut milk. Most decaffeinated coffee is decaffeinated using chemical solvents such as methylene chloride, a carcinogen, and ethyl acetate, used in glues and nail polish! These chemicals are believed to contribute to symptoms like headaches, brain fog, and stomach issues, not to mention the increased risk of cancer! If you prefer decaf, opt for the much cleaner, healthier alternative of Swiss Water Processed varieties. WHAT SHOULD I LOOK FOR WHEN BUYING COFFEE BEANS? Certified Organic coffee means that no chemicals, herbicides or pesticides have been used in the production of the blend. Coffee is one of the most chemically treated crops in the world, with up to 250 pounds sprayed per acre! When you sip your conventional coffee, you are ingesting these pesticide residues, which are highly toxic and detrimental to human health. Most of the coffee-dependent workers worldwide are in developing countries, especially Brazil, Vietnam, Colombia, Indonesia and Mexico. Producing coffee is a labour intensive job that frequently yields very little profit for the farmers. By requiring companies to pay the farmers sustainable prices, fair trade addresses the injustices of conventional trade, which typically discriminates against the poorest, weakest producers. It allows the farmers to improve their position and have more control over their lives. Something we all deserve! Mycotoxins are the naturally occurring fungal by-products growing on the beans. They include aflatoxins, T-2 toxins, ochratoxins, rubratoxins and vomitoxins that can make you feel jittery and overstimulated, and lead to a variety of health concerns. Interestingly, organic coffee is more prone to these toxins, as the pesticides in regular coffee reduce their growth. Without being sprayed, the natural toxins are able to grow more freely. Mycotoxin levels can be managed by ensuring moisture levels are tightly controlled during the processing of the beans. So make sure your organic coffee tests for these mycotoxins to prevent any unwanted side-effects from your favorite blend! Roasters will tell you blends are made to create unique flavor profiles and a consistent coffee, and single origin beans are more for coffee connoisseurs. This is true, but what they don't tell you is that because coffee blends are beans mixed from multiple areas, you have practically zero guarantee of where your coffee comes from. Meaning you're more likely getting a blend of cheaper beans with increased levels of mycotoxins! Instead of buying a blend, buy your coffee from single origins to help ensure quality and reduced mycotoxin growth. Is there such a thing as a mycotoxin-free, fair trade, organic coffee? We searched high and low to find an organic coffee that didn’t contain any harmful chemicals, pesticides, or mycotoxins, and we’re thrilled to say we’ve finally found one! It’s what we now sip on at Food Matters HQ, and it’s absolutely delicious! SO WHAT DO WE USE AND RECOMMEND? 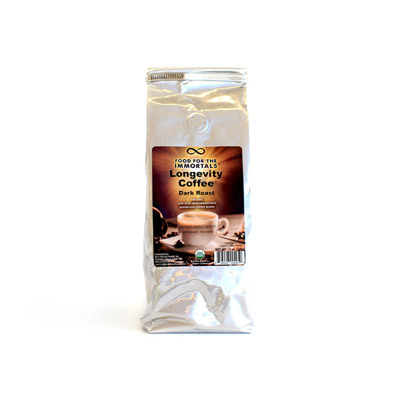 We recommend Longevity Coffee™ from David Wolfe's company Longevity Warehouse. It's perfect for anyone sensitive to conventional coffee products because it is grown on volcanic mineral-rich soil, fed with pure natural spring water, and nurtured in clean, high-altitude air! Only the most robust and mineral-rich beans are selected and there’s only one other ingredient added - sunlight! The beans are bathed in a unique spectrum of light that not only makes the need for chemical additives unnecessary, but also kills off any dangerous mycotoxins, creating one of the most unique coffee products ever produced. As part of our research in writing this buying guide, we looked at a range of different coffees from around the world in our attempt to find the healthiest blend. We came across some other brands definitely worthy of a mention. In fact, it was Dave Asprey, the creator of Bulletproof™ Coffee that first got me into thinking that coffee could be beneficial for performance and health when consumed in the right way (with fat). So what are some other healthier choices? Bulletproof™ Coffee - This coffee is mycotoxin free, fair trade and single origin, but not certified organic or tested for acid alkaline balance. Made to supercharge your morning when blended with medium chain fatty acids and butter. 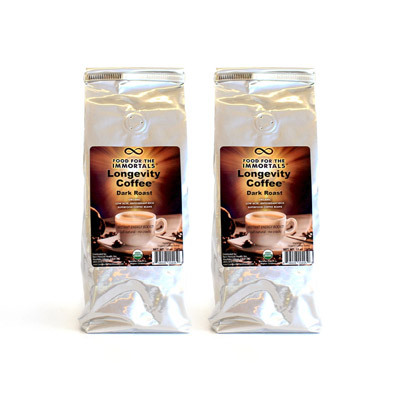 Organic Coffee Company - Certified organic and fair trade, the Organic Coffee Company produces a range of blended varieties and single origin coffees. Kicking Horse Coffee - Certified organic, fair trade, shade grown and bird friendly, these arabica beans are strong and punchy. The company is committed to local and global environmental conservation and uses 100% recyclable packaging material. Cafe Don Pablo - Fair trade, certified organic, full bodied beans from the Honduras. All of their coffee is roasted fresh to order in multiple small batch roasters. WHAT MAKES Longevity Coffee™ SO UNIQUE? An ORAC antioxidant score of 48,896, twice as high as goji berries and four times the amount of wild blueberries! From growth to cultivation, roasting to packing. Everything is tightly controlled for optimum nutrition! What others are saying about Longevity Coffee™? 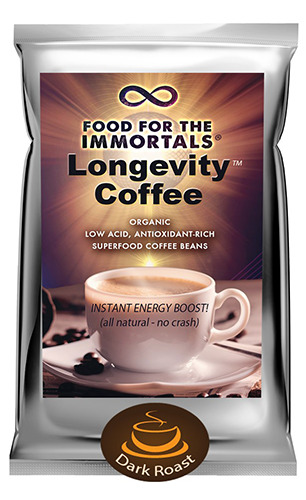 Now, you can purchase LONGEVITY COFFEE™ through the FOOD MATTERS site and get instant access to $10 in bonuses free with your order! 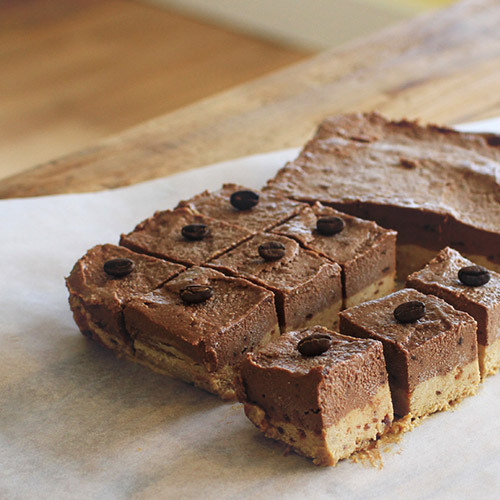 Instantly receive 12 of the healthiest & most mouthwatering coffee recipes ever! 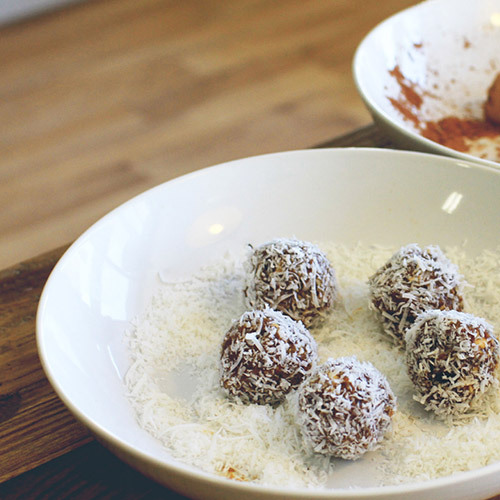 To espresso bliss balls to keep your energy soaring! 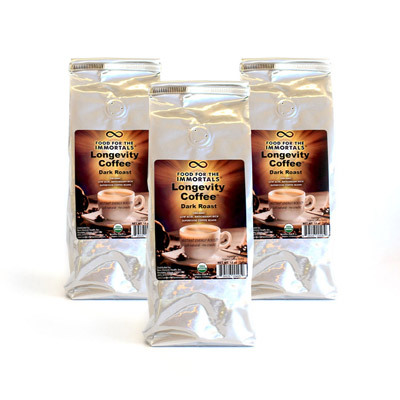 We’ve connected directly with the Longevity Coffee™ team to secure the lowest and best prices you’ll find anywhere online! Additionally, when you purchase through us directly, you’re supported by our dedicated customer support team (who can help you with questions about making the perfect cup, the Longevity Coffee™ blend, and anything else!) plus cost price shipping anywhere in the US and Canada! 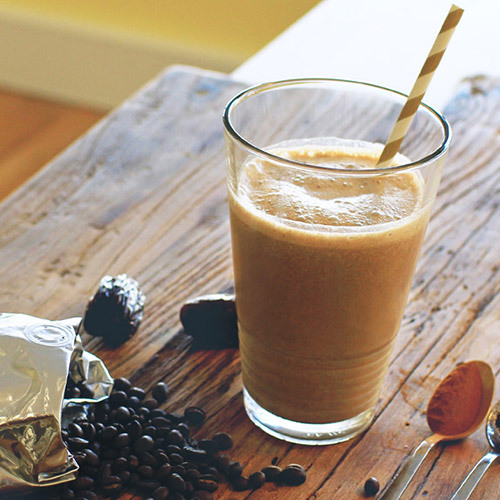 Cheers to your healthiest cup of coffee yet! PS: If you're in Australia, UK or NZ we're sorry about the expensive shipping! It costs quite a bit to ship this from our partner warehouse in the US and it works out more economical if you buy 3 or more bags to bring the price down.